The Art of Michael R. Gaudet: Awaiting Proof Copies of "Dancing with Rejection"
After much deliberation that involved the intimate perusal of first, my long-suffering editor Christina George, followed by interior formatting by the indomitable Sage Bergman, I was finally ready to order the first Proof Copies of my upcoming memoir "Dancing with Rejection". My tenuous health status does not permit me the luxury (if you want to call it that) of mucking around with publishers in order to get this thing out. 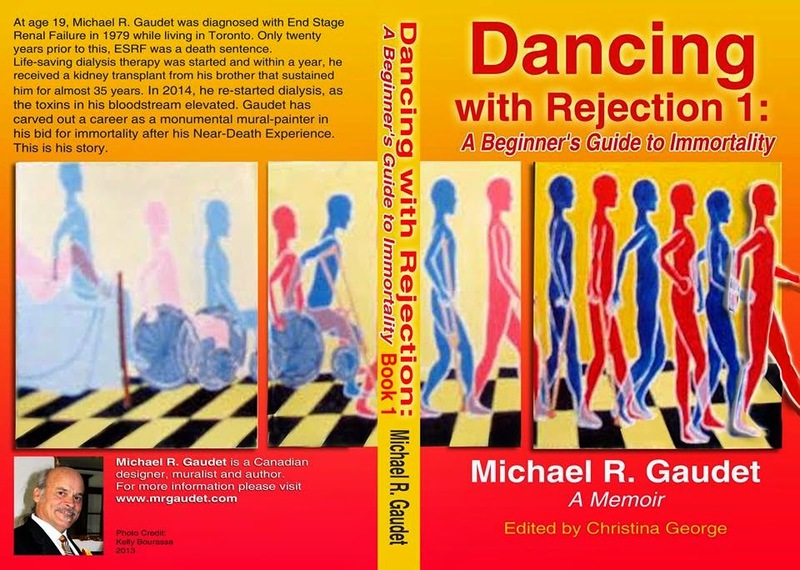 There's no way in hell I'm willing to wait for somebody out in the big bad, cruel, indifferent publishing world to actually recognize the validity of a book called "Dancing with Rejection"! Just the thought of receiving multiple rejection letters kind of smacks of irony, don't you think? So, the long and short of it is...SELF-PUBLISH and damn the torpedoes! Very soon now, you will see a photo of yours truly holding actual hard copies of this book, with a very wide grin. That's what I'm a-gonna do! Apparently, many self-published books have been known to catch the eye of publishing houses, ultimately leading to the adoption of the poor little self-published orphan. Well, if something like that happens in this case, I would have to very carefully analyze the pros and cons of such a phenomenon before I changed my course. So far, from everything I've heard and read, self-publishing is definitely the way to go, just as long as the author has the wherewithal to promote, market and/or flog the book. Oh yeah, the book also has to extremely GOOD!